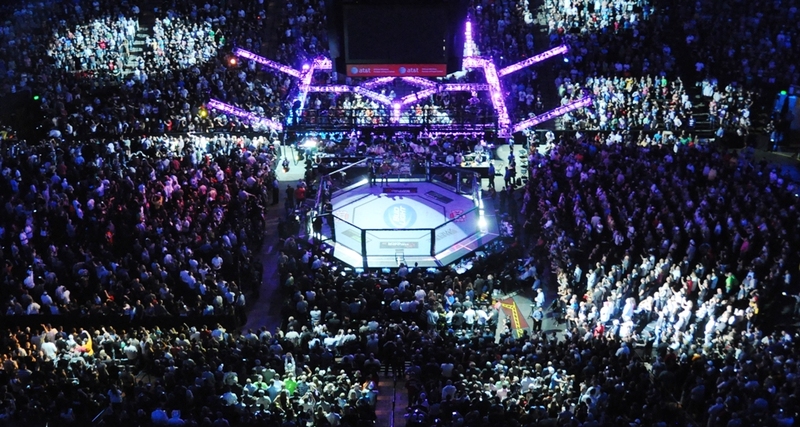 ONE Championship is continuing to make inroads into the Chinese MMA market. Its latest event, dubbed “Dynasty of Champions,” features plenty of local talent to surround a headlining bout featuring one of its biggest stars, Bibiano Fernandes. The highly regarded bantamweight puts his title on the line against Team Lakay star Kevin Belingon. 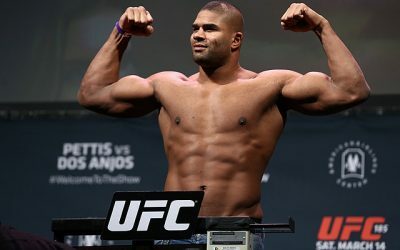 Fernandes, a highly decorated Brazilian Jiu-Jitsu black belt, remains one of the best fighters competing outside of the UFC. 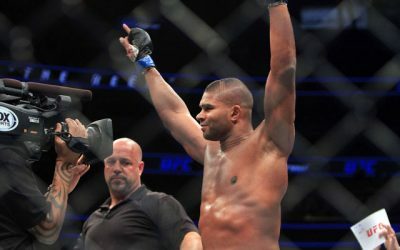 He nearly made it into the Octagon at UFC 149 in 2012, but the two sides couldn’t come to an agreement on the contract and Fernandes instead took his services to ONE Championship. The Canadian-based Brazilian captured ONE interim gold in 2013 and unified the title later the same year when he defeated Soo Chul Kim. “The Flash” has gone on to make successful title defenses against Masakatsu Ueda, Dae Hwan Kim and Toni Tauru. 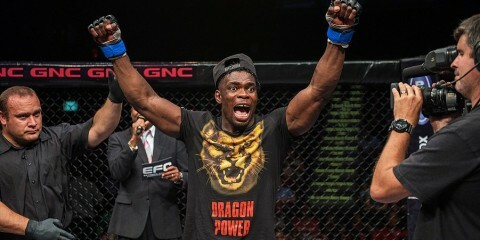 The 27-year-old, who trains with the AMC Pankration camp, is lightning fast with his transitions on the ground and is always capable of securing a submission, but his record is heavy on decisions — 10 for wins, two for losses — and rather light on submissions, with only six victories coming on the canvas. Team Lakay’s Belingon is a Filipino fighter with a background in Wushu. 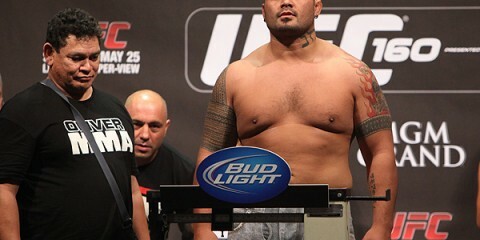 He debuted in 2007 and started his career at 9-0 before running into a number of setbacks beginning in 2012. In his first two ONE outings, he dropped bouts to Masakazu Imanari and the aforementioned Soo Chul Kim. He rebounded with consecutive victories before he was defeated by the aforementioned Ueda. Belingon again bounced back and then suffered a loss to the aforementioned Dae Hwan Kim. 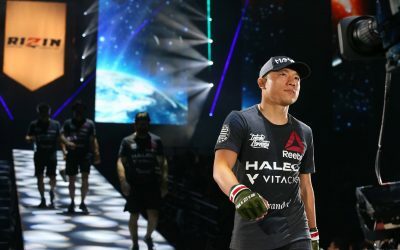 The 28-year-old’s strength lies in his striking arsenal, but he has three submission wins to accompany his five victories by way of strikes. Of his losses, two were submission defeats. Belingon was long considered among the best fighters in Southeast Asia, but he’s run into some tough times over the last few years. He’s been revealed to be a good fighter, but not a great one. Belingon has suffered losses to a submission master — that’s a description that accurately describes Fernandes, by the way — and three foes who happen to be on the champ’s list of previous victims. Fernandes is among the elite bantamweights in the world right now. It would be nice to see him prove this against UFC-caliber competition, but for now he’s still busy cleaning out ONE’s 135-pound division. This trend will continue against Belingon, whose best chance probably involves an aggressive burst out of the gates to open the first round. The problem is, Fernandes can be a quick starter too — just ask Joe Warren or Takafumi Otsuka about their first-round losses to the Brazilian. Belingon has to land a perfect knockout blow, but he has to hope he doesn’t get clipped first or taken to the mat and embarrassed by the high-level grappler. Belingon will make this a fun fight while it lasts, but Fernandes is a league above the competition the Filipino has already struggled against. MMA math isn’t always perfect, but one plus one does equal two and a fight against Fernandes usually equals a loss for the other fighter involved. This will be the case for Belingon, who will be severely outmatched on the ground. Fernandes should be able to finish this fight early via submission. The women’s divisions in MMA continue to gain depth. This week, Jungle Fight gives us a glimpse of two of its female bantamweight prospects on the promotion’s 85th event. Bantamweight champion Amanda Lemos is set to defend her belt against upstart Mayra Cantuária. Lemos has only been competing professionally since 2014, but she already has five outings under her belt, and they’re all finishes. She stopped her first two opponents via strikes on the Para regional circuit before stepping up to appear on a Jungle Fights card in 2015. She emerged from her Jungle Fights debut with another striking victory and tacked on another regional win before competing for the Jungle Fight 134-pound title. 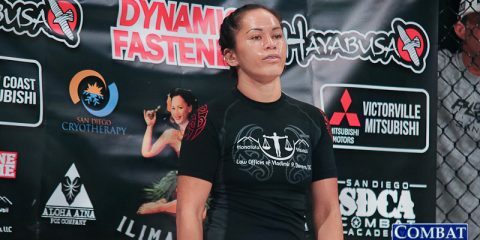 The 28-year-old, who trains out of the Marajó Brothers Team, scored her first submission victory when she secured a choke for the stoppage in the first round against Carol Cunha to claim the vacant crown. “Amandinha” will make her first defense against Cantuária. Cantuária has fought three times since debuting in August. 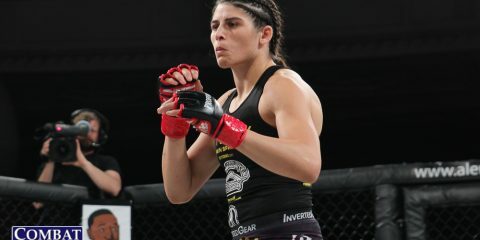 The 27-year-old’s first outing was eventually declared a no-contest after it was prematurely stopped when Cantuária was slammed to the mat, but she returned the next month to make her Jungle Fight debut with an armbar submission of Fabiana Barrenquevitcz. The Brazilian Top Team fighter added another armbar submission victory, this time with a first-round finish, on a Chilean card in November. Lemos can be a wild fighter on the feet, but she keeps can be very effective. She’s good at moving out of danger while also displaying strong takedown defense and composure when she’s in bad positions. Cantuária may enjoy a height and reach advantage over Lemos, but her stand-up skills don’t appear to be on par with the champ’s arsenal, sloppy as it might be at times. Furthermore, Cantuária is too willing to take punishment while on her back on the mat. It nearly cost her a fight in her debut, but she was clearly still conscious and not at all dazed after the slam that prompted the referee to step in and halt her contest with Dayane Mestrinha. Cantuária is aggressive with submissions from her back and will pull guard from the clinch to pursue a guillotine choke. However, Lemos is likely to be the stronger of the two ladies in the clinch and has the tools to easily escape anything Cantuária throws up. And once Lemos is free from a submission attempt, she’ll have the opportunity to rain down some heavy blows or pursue her own submissions. Lemos is a little too powerful and capable on the feet, and Cantuária simply isn’t slick enough to catch her easily on the mat. Lemos will be at risk for a submission loss if this fight does go to the ground, regardless of who lands in top position, but she will deliver enough punishment to gain the upperhand over her less experienced adversary. The champ will retain her title and add another TKO finish to her resume. Scott Smith, Justin Baesman, Max Griffin, David Mitchell, Josh Appelt, Roy Boughton, Lewis Gonzalez, Kito Andrews and Christos Giagos. The lineup for the 16th offering from West Coast Fighting Championship features plenty of names with UFC, The Ultimate Fighter, Bellator MMA and World Series of Fighting credentials. The spotlight will no doubt be on many of these competitors, but one of them — Giagos — gets the opportunity to play gatekeeper to the rise of a prospect who has yet to see any of those big stages. In the evening’s co-headliner, Giagos may be the challenger for the lightweight title belt, but he’s also the recent UFC castoff who butts heads with undefeated champion Josh Emmett. Emmett made his pro debut in 2011. 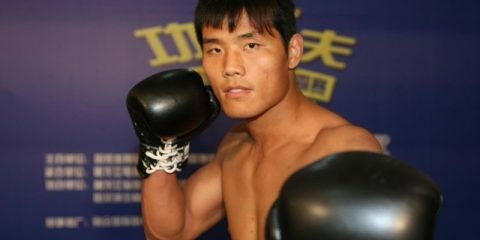 However, due to a nagging injury — he broke his hand in his debut fight and broke it again during a sparring session while preparing for his second fight — he didn’t start competing regularly until 2013. 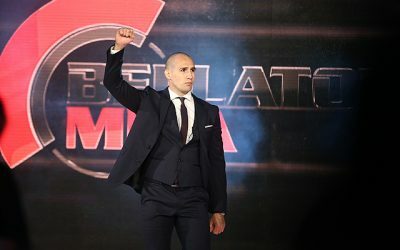 The 30-year-old has been a West Coast FC mainstay for much of his career, only straying once for an appearance under the King of the Cage banner. Along the way, the Team Alpha Male fighter has claimed two wins via strikes, two victories by way of submission and four decision nods. The two-time NAIA National qualifier fits the Alpha Male mold as a strong wrestler. 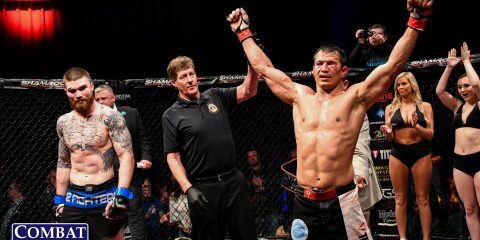 Emmett captured the West Coast FC lightweight crown with a decision win over Brandon Ricetti in late 2014, but his next outing was a catchweight affair with KOTC in which Emmett handed a loss to veteran Rocky Johnson. This will be Emmett’s first title defense. After a disappointing UFC run, Giagos returns to the regional scene for this title fight. The 25-year-old turned in just one win, a first-round submission finish of Jorge de Oliveira, in three appearances inside the Octagon. 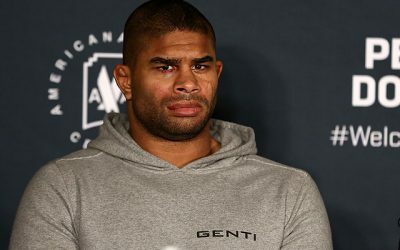 His UFC losses came to Gilbert Burns and Chris Wade. 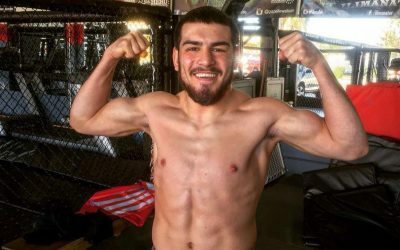 The Elite Training Center product came up the ranks through the Respect in the Cage, Tachi Palace Fights and Resurrection Fighting Alliance promotions before making his UFC debut. 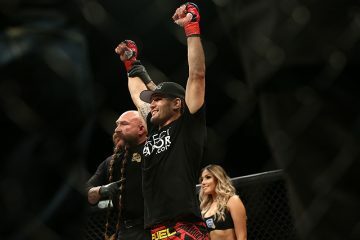 Along the way, “The Spartan” picked up notable wins over Chris Tickle, Sevak Magakian (for the Tachi lightweight title) and Dakota Cochrane (for RFA’s vacant lightweight crown), but he also dropped fights to Jason Gonzalez and Poppies Martinez. He has a background in high school wrestling. Giagos has picked up six wins via strikes and three victories by way of submission, but he has also suffered three submission losses. Emmett’s wrestling could make all the difference in this fight, but Giagos can’t be counted out. The UFC vet has a tendency to win belts at this level, and he’s never out of a fight. Giagos was ragdolled by the aforementioned Cochrane in their RFA encounter, but one explosive knee was all it took for Giagos to claim the victory. Emmett will likewise toss Giagos around, but the Alpha Male fighter needs to keep Giagos planted on the ground once he gets him there. If Emmett can control positioning, then he has the ability to ride Giagos all the way to a decision win or attack with his grappling and ground-and-pound. Submission defense seems to be the biggest weakness for Giagos, and Emmett is certainly capable of taking advantage in this area. 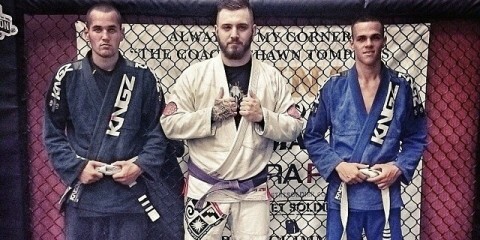 Emmett is a true prospect who probably benefited in the stand-up department from his time under the tutelage of Duane Ludwig while Ludwig was with the Alpha Male camp. However, wrestling is still the core of his game. This will be a competitive fight, but Emmett should find his hand raised in the end. 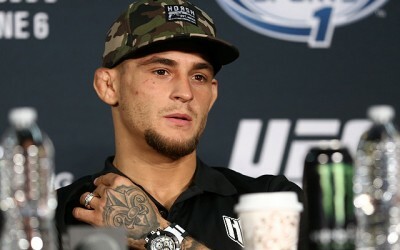 It won’t be long before he leaves the West Coast FC and KOTC promotions in his rearview mirror and lands in the RFA or another league that regularly feeds prospects into the UFC, Bellator and WSOF.